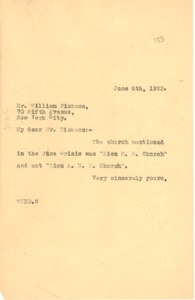 New York (N.Y.) - Clarifying Pickens' confusion over the name of a church. Denver (Colo.) - Advertising a September 20 lecture by "scholar, educator, author, fighter for freedom and peace" W. E. B. 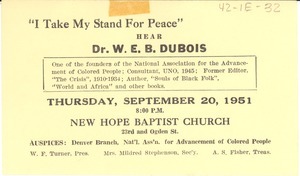 Du Bois at the New Hope Baptist Church, organized by the Denver Branch of the NAACP, W. F. Turner, President. Boston (Mass.) 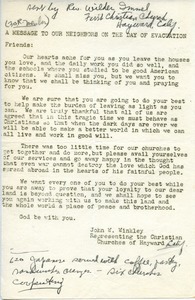 - Letters drafted at the 3rd annual meeting of the Niagara Movement. 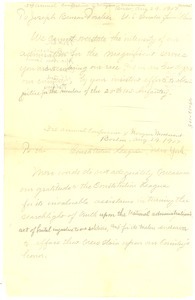 The first addressed to Joseph Benson Foraker, Senator of Ohio, and the second addressed to the Constitution League of New York; both thanking them for their service to the 25th U.S. Infantry. 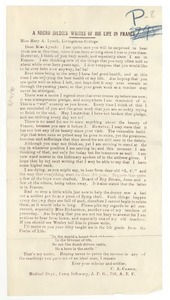 Written to Mary A. Lynch of Livingstone College, Carson reports his impressions of France in the medical department of a Camp Infirmary. Most likely for W. E. B. 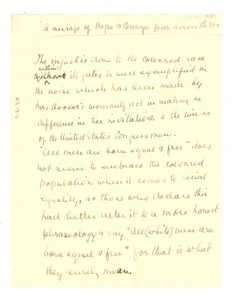 Du Bois' proposed book "The Black Man in the Wounded World". 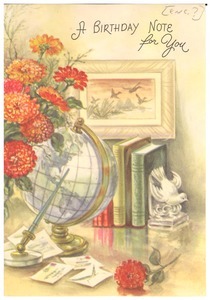 Coded with a P.
Pittsburgh (Pa.) - Blank birthday frontispiece to accompany the congratulatory birthday letter in which it is enclosed. 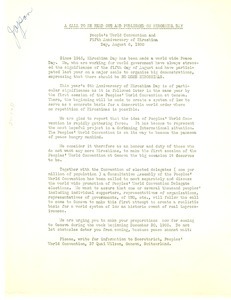 Geneva (Switzerland) - On the fifth anniversary of Hiroshima Day, reporting the "gathering force" of the Convention; noting the election of delegates thereto; and urging recipients to arrange to attend its December 30 opening function. 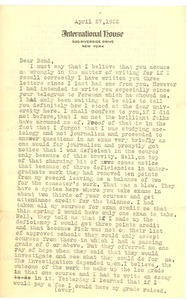 Oxfordshire (England) - Expressing her thoughts on the great "injustices done to the coloured race" and reflecting on their prospects for advancement in the U.S., U.K., and India. 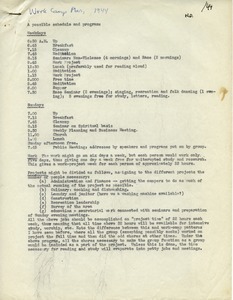 United States - Formal plan for work camps, making space for seminars on non-violence (4 days per week) and race (2 days).